Get Ireland’s BEST Whole of Life Insurance Quotes – NOW! Getting the Best Whole of Life Insurance Quotes and great advice is easy. Simply fill out the form and click the “Get Quotes Now!” button. No need to compare whole of life insurance – it’s all done for you, and its kept simple! A whole of life insurance policy covers you right up until your death, whenever that may occur. This type of policy can be more expensive and complicated than other forms of life insurance. Your policy will earn some interest each year, and depending on how fast it grows, your premiums could reduce over time. It’s also possible that at some point in the future the interest on your savings will cover all your premiums so there may be nothing more to pay. If you are looking to invest in a whole of life insurance policy, you need to be careful that you are getting a policy that truly fits your needs; like a hand in a glove. 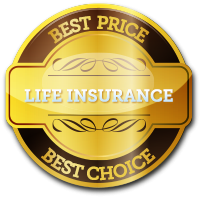 Of course, you will also need to search for the best whole term life insurance quotes available. Since whole of life insurance can be complicated, it’s vital you get the advice you need. Our team can help you get the best whole of life quotes in Ireland at surprisingly affordable rates. They will do all the hard work for you, so you can avoid wasting your valuable time. They will also compare the different types of whole of life insurance for you in a way that’s simple and easy to understand.